The match of the day came on Central as Eugenie Bouchard edged past Lucie Safarova, 3-6 6-3 7-6(3). It was a really fun match and there was some superb shotmaking in the third set… obviously it wasn’t the result I hoped for but congrats to Genie on a big win. Lucie did so well to force the third set tiebreak, somehow clawing her way out of service games at *4-5 and *5-6. After a volley into the net to go down *4-5 *15-30, Lucie came up with a pair of clutch forehand winners. The first of those forehands, linked below, was a stunner! At *5-6 *0-40, Lucie’s serve found its target as she saved three match points and scrapped her way into the tiebreak. Lucie looked to be in a good position up 3-1 in the tiebreak but Genie went on to win six straight points including a fantastic passing shot winner (see below) to set up match point. It was sad to see the match on a double fault, Lucie’s 10th of the match. For Lucie, I thought her level in the final two sets was decent. She looked a little tight on her groundstrokes in the tiebreak, particularly with a mistimed forehand wide at 3-4. I’m delighted to see Lucie and Rob back together though and I think this is a match that she can build on going forward. Two second round matches were played on Tuesday and one of them saw a late reshuffle as the number three seed, Garbiñe Muguruza was forced to pull out of the tournament due to a gastrointestinal illness. The Spaniard was replaced by Varvara Lepchenko who overcame Naomi Broady, 6-4 3-6 6-3. In the final match of the day, Simona Halep enjoyed a relatively routine opener against Daria Gavrilova, 6-2 6-3. Halep did some running on the penultimate point of the match! In one of the toughest first round match-ups between Madison Keys and Elena Vesnina, Keys rolled through the last eight games of the match for a comfortable 6-4 6-0 victory. Next up is a match-up of the Madisons against Madison Brengle. Daria Kasatkina came from a set down to defeat Misaki Doi, 3-6 6-3 6-1. At one stage of the match, Kasatkina was 1/14 on break point conversions! She improved to 3/4 in the third set, playing a very stable final set against an increasingly error-strewn Doi. Putintseva loses from match point up on a netcord winner. Reacts as we all would. Andrea Petkovic had lost four of her last five matches against Alizé Cornet. The Frenchwoman served for the first set but Petkovic recovered well and eventually came through for a solid win, 7-6(1) 6-3. Moved to Central after Muguruza’s withdrawal, the 19-year-old Francoise Abanda scored a huge win, her first on the WTA tour, over Zheng Saisai, 6-1 7-5. And here’s a statement from Zheng Saisai after the match… never seen anything like this! And finally, LOVING the crowds in Montreal for the WTA… This is awesome to see! 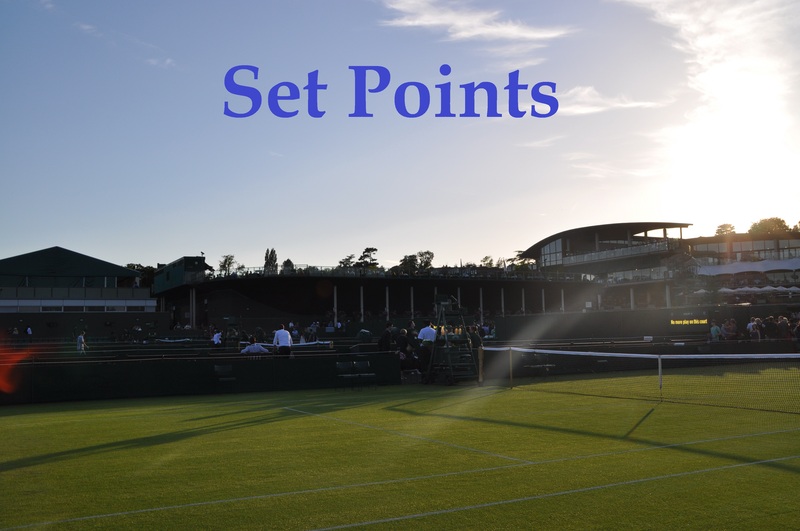 July 27, 2016 in Montreal, Set Points, WTA. Count me IN for Halep vs Kuznetsova. Halep v Pliskova first though? Well they got here in the end haha! There we go! I wanted to Kvitova to win but Halep-Kuznetsova is fineee by me, always a fun match-up. Woops! I thought they were meeting in the third! So Sveta has Petkovic or Kvitova next then, bummer. I didn’t see Petra vs Sveta but Sveta’s clearly in good form at the moment. Her match against Simona should be a good one; Simona’s got a lot of points to defend in the North American hard court season so she’ll be wanting to take every opportunity she can get to pull off a big win. Ostapenko and Putintseva play doubles so it seems to be a recognised nickname 😉 Sveta was good, not great, Petra was having one of her “off” days. Love the way Sveta has been playing all year. Should be a good one!